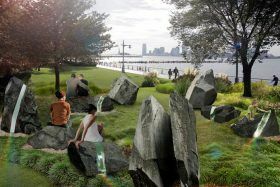 The Hudson River Park Trust and landscape architects OLIN have released a fresh set of renderings of the Pier 26 transformation, a project aimed at turning the Tribeca pier into an ecological park. 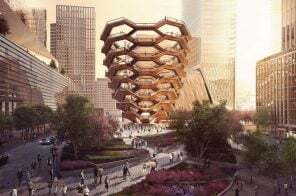 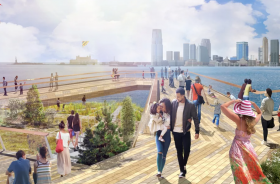 As Curbed NY learned, a portion of the pier will have a wooden deck, with the western end rising up to 15 feet high in order to look at the wetlands. 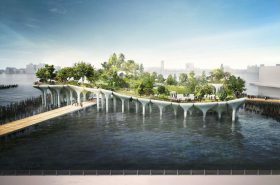 The pier’s eastern side will include a large lawn and an indigenous tree-filled forest. 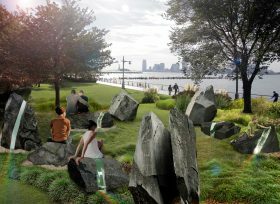 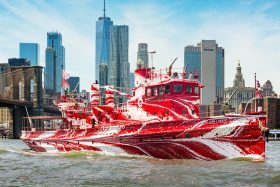 The revamp of Pier 26, projected to cost over $30 million, is scheduled to wrap up in the fall of 2020. 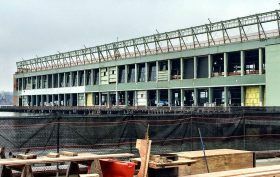 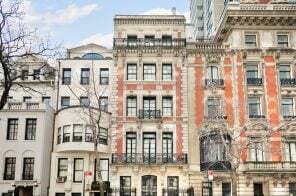 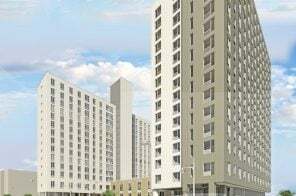 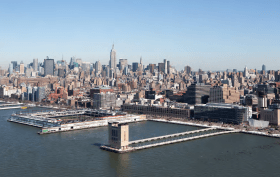 Work is moving along at the waterfront development that is rehabilitating and revitalizing Pier 57, Manhattan’s new “SuperPier;” newly-installed, canted glass panels can be seen along the pier’s rows of exterior columns, CityRealty reports. 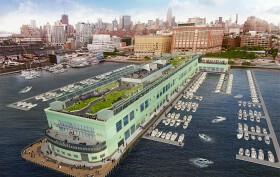 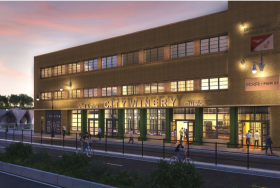 The $350 million transformation of the former freight terminal, a joint venture by Young Woo & Associates and RXR will include 250,000 square feet of offices for Google, a 170,000-square-foot food market curated by Anthony Bourdain and provide an elevated two-acre park with a rooftop movie and performance amphitheater. 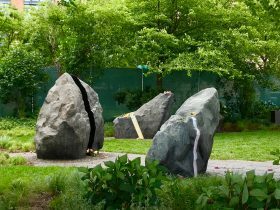 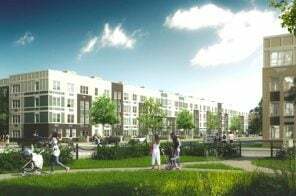 The project’s design is being handled by Handel Architects and !Melk Landscape Architecture and Urban Design.